Like the news....... I really dislike the volume on button place just above the iPad home button. Too many times I go to close the app and the news starts, embarrassingly, blaring. The volume off button is in a different place on the app........ Please please please fix this. Love NPR and this app does an okay job of delivering its contents. Perhaps thought might be given to separating streaming content from textual articles. I have to smile, however, whenever NPR advertises this app by enthusiastically reminding everyone that it ‘listens to you’ and ‘learns about you’! In these days of government snooping and privacy concerns this seems to be culturally tone deaf. This capacity is the LAST thing I want. And your curated offerings based on what I have chosen should not be your concern. Your next on air promo should be a solemn pledge to mind your own business! With the latest update, I have to “Find a station near me,”then select the one I want to listen to every time. There’s an option to save it as my primary, which I always select, but it never saves. Every time I use the app, I have to find my station again. I am very disappointed with the latest update. I cannot share and it is not easy to move from one article to the next. The older version was much easier as far as universal design. Use this app to stay connected every day. Runs smooth, and layout os almost perfect! Just one thing... please make it easier to delete unplayed items from the playlist. I use the "play all" function but if am unable to listen to the entire batch, I generally dont want to listen to yesterdays the next day. soo.. maybe a "delete all" button for the playlist. Sorry for being so picky.. love NPR! I am a dedicated fan of NPR but the changes in the various apps are so frustrating I no longer use them as once I did...Fix! For some reason, NPR has decided to kill playlists on its non-iPad version of this app, and now the playlist function on this app seems to have stopped working: you can put a bunch of stories on your playlist, but unlike before when you could press play and all of your stories would play continuously, now you have to press play for each segment every few minutes. This makes listening to playlists at night or while driving much more cumbersome and less user friendly. Please don’t kill the playlist on the iPad app (and bring it back for the iPhone) and please fix the functionality. Please add Clear Playlist button! I love being able to listen to NPR programming on my iPad or iPhone. However, I often don't get through all of my playlist each day. When I start up the next day I want to clear the playlist and add that day's programs, but it takes 5 button presses to just clear the playlist. Please add a button to the home page to clear the playlist with one touch. It doesn't even need a confirmation button because I can always re-add programs if I need to. Thanks NPR! Using share to forward article on iPad has a bug. You can write and address the e-mail correctly but there is no SEND button. So your message just sits there with nowhere to go. I do like news from npr but more sections would be nice. I like that I can read the story instead of listening to them. It’s a good start for an app. It needs a bit more effort. Does not go story to story like the fabulous NPR One (even if you do queue stories) so I'm going back to NPR One, even though NPR One does not have an iPad landscape view. Was it tested before release? It appears the app was not adequately tested prior to release. On my iPad mini, you don't even get to change font size. Yes there is the "change font size" button, ...which opens a blank window. Terrible! Not same as iPhone version. Crashes a lot but I don't see any particular pattern or when, what condition, triggers it. Otherwise, I'm just glad to be able to access NPR on my iPad. Not being one who uses a radio but really loves NPR, this app find my two local stations. I catchup on both local and world news which is what I want the app to do. The other NPR app, NPR one, has way too much fiddling. I can just get what I want from NPR and keep my regular shows in my podcast app. My continued frustration with this app has finally pushed me to the delete button where, in a moment of overwhelming pique and disappointment, I have pushed the little X. In many cases, the stories shown in the app have swaths of pictures and links unavailable or inactive. Even more damaging, the stories that refer to multiple audio clips have but one. I assume this is a failure of the news items' syndications coupled with limitations in the presentation of that content. From the color scheme to the article flow and general layout of this app, it just doesn't draw me in. Whenever I open this app, I almost always immediately close it and open up the BBC app instead. Which is too bad, because I really like NPR on the radio! Their app just doesn't do it for me. Used to be great now doesn't work on my (old)iPad. The app crashes or just doesn't work recently. Seems ok on my newer iPhone. Frustrating. Not user friendly. Uses too much memory. I love NPR, but the app uses way too much storage space, I deleted it from my phone. There is no easy way to go back to a show that had been paused on a previous day. NPR News works flawlessly on my iPad 3. It is so refreshing to read and/or listen to the news without commercials, pop-ups, or advertisements. 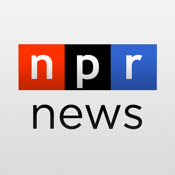 If you are able, please support NPR News for this great application. Broken. Did anyone even test this app before it was released? The app works most of the time. I check it daily for news. Sometimes the thumbnail opens an entirely different news story. Hyperlinks NEVER work. Often, whole sections in the story, quotes, graphics, or text, are referenced and discussed, but omitted. I have to go to the NPR web page to see them. Worst of all, there are often only 1 or 2 stories posted for today, and occasionally no new news at all. Come to think of it, the app is pretty worthless for news. This app crashes 100% of the time. When will it get fixed. I have better luck streaming through TunedIn Radio. It has great features too bad I you can't get to use them. This has been a LONG TERM issue. How about someone create a work order to finally fix it. Geez. The NPR [News] for iPad app on my iPad 3 has stopped displaying On The Media show selections. I have deleted the app and reinstalled it, with no success. The On The Media section under Programs is still blank! Anyone else seeing the same issue? Defaults to whatever volume was set for any previously used app. If there's aneasy way to change this annoying quirk , i not found it. Also, on occasion the buttons freeze requiring a restart of my iPad2. This is a horrible app! It provides links to additional content as good apps do... But none of the links actually work. None of them! Headlines extend beyond the edge of the little boxes that represent the stories so you can't read the entire headline, and if you've left your app open overnight, it will very likely be out of sync with the NPR server and there is no way I've found, short of closing the app, to refresh the selection of stories. I don't know what NPR does with the proceeds of those never ending beg-a-thons, but I'm pretty sure they didn't use them to create an app of even average quality. I use to love this app, but I just deleted it from my IPad. Not sure when the problem started but it crashes before it even opens. Very unstable and each new release promises a fix but it still crashes often. Sad that I can't get this app to work on my iPad! I LOVE NPR, and support it as a sustainer. It's the ONLY news show that I listen to. I'm very frustrated that I cannot, no matter what I do or how many times I try, get this app to work. I can play current streams on my iPhone, but for the life of me can't get a stream to work on my iPad. PLEASE PLEASE PLEASE fix this. The stream still stops for no apparent reason. Podcasts are easy to access and interesting to listen to. I like the convenience of apps on my iPad Air 2. I follow NPR for their great coverage of news and culture. However, this app is terrible! None of the links work, including "rate this app". You can do better! I'm able to open the app and see stories, but the menu items do not respond -- at all. I cannot adjust size of text, I cannot open links in the browser (as offered) nor can I even get anything to happen when I click on Contact Us. Also, when I search for stations to play, often the app crashes. Search for “New York” and when it comes up in the list, tap it and CRASH. Is this because I have an iPad 4 Mini with iOS 9? Some news programs take full 24 hrs to update! Honestly, spend a nickel to make this thin in any way reasonably functional. I used this app every day for a long time - great design - but it simply stopped fetching new stories a while ago. I don't see any way to force it to refresh. So I guess its the trash can for it, really sorry it worked out this way. Crashing when loading simple things like station finder and top level articles. Impossible to use until bugs are fixed. So, They are always up selling their app, "find the stories you listen to and share them with others". But I can't find the search feature. What the hell? Needs update for iOS 9? This app worked great with iOS 7s, but stations started occasionally crashing with iOS 8, and now that I've updated to iOS 9 it crashes every time I try to play a station. "Contact Us" link is dead as are other links. Time for a new version, please! I love NPR, but this app keeps crashing. Please fix. When I have a news app, I want it to be a news app. The news portion is tiny and only a third of the screen. Please rename the app or beef it up in the news category. Please, hire someone to fix the UX. Ignored Wikileaks and Project Veritas exposés on Hillary and the DNC while pushing any negative and scurrilous Trump rumor as gospel. Your cover is blown, Pravda! Was great until most recent version CRASHES! Slow to update..sometimes not at all...poor poor poor...catch up NPR! NEWS fair and balanced - truly. Many claim fair and balanced but NPR delivers. This app lets you collect the NEWS topics you may have started listening to but just did not have time to finish. Enjoy the best way to hear NPR. Great for listening to hourly news updates, horrible at everything else. Don't expect the top stories to be from the day you're viewing the headlines, and don't expect those headlines to link to the stories they claim to represent. Do expect those hourly news headlines to play when you close the app without having bid them play. Also, do expect a heavier emphasis on hip-hop and hip-ster music and cultural coverage than broadcast NPR by about 2000 percent. Let's put it this way-if stories about a "Punky Brewster" themed hotel and a new "Vampire Weekend" tribute album were slated to run on the day that Trump launched a preemptive nuclear attack on Pyongyang, you won't have to Worry about the North Korea story ruining your day for a while. News headlines are cut off. Impossible to browse. Click on an article and it opens a different article. Bizarre...the app seems confused. I cannot understand the low rating this app has. You can easily listen to your local station, find individual programs, and listen to news the way you want to. Simply great. When trying to share an NR story from my iPad, the “tweet”button doesn’t actually show up! There’s s no way to actually get the tweet / story to be posted. The tweet button doesn’t show up until you’ve added enough spaces to pass the 140 character limit. In other words, you can’t share to Twitter! App works great but it kills my battery. Please update and address. When will they fix the interruptions? Listening to my local NPR station is a joy -- except when using the app. The interruptions for station promos are constant and interrupt the listening experience. Instead, I stream from the website in Safari. NPR, this problem has been going on for a year. It's time you fixed it. My best resource is sadly letting me down. There is only one place I turn to for reliable news, and it's NPR. The app is part of my daily life and is invaluable to my family and I. It is, however, not very useful at the moment. This is because the app seems to always cut to the ads typically delivered at the start of the app. This trend of interruption while listening, has grown over the last year & cuts vital information from the news one is actually listening to! Fix this please. I really do appreciate the information provided by NPR and it's partners but if I cannot actually absorb this information, the point of the app is moot. I understand that ads are vital to the continuity of the organization but perhaps reduce to ads to less than once every couple of minutes. I use the NPR News app on my iPad mostly to listen to my local NPR station or the top of hour news. I read the articles too once in a while and usually when I'm listening to the station in the background. There is no way to refresh the news items/stories on the screen. If it has not done its automatic refresh, clicking on an item can bring up a different story that has now replaced the story you clicked on in its current position. The links to the articles don't seem to work directly from the app. Other than that, I think it's a great app to get the summary of the stories on NPR or to listen to your local NPR station. iPad version of this app has much poorer user interface than the iPhone version. Do not like the layout of 3 rows and often stories missing when opening. Hope NPR will change or replace layout. I do enjoy the iPhone version. Without NPR programming I would be lost. But the app is making my daily fix of reality and entertainment ever more problematic. The folk there need to fix the buggy clunky front end so that selection is easier and choices do not default back all the time. Running the latest iOS is a nightmare with continual restarts and frozen screens. I know the money is not there for this type of service but couldn't some kind hearted hacker put it all right? Update 3/2017: The app designers still don't get it. In addition to poorly managed Ads, the text font for the story synopsis's has shrunk to a point it is extremely! difficult to read. I suppose this is to free up space for a second scrolling window at the bottom of the reading pane, which now makes the story reading area only about 60% of the screen. We need a "reader" version of this app so we can actually read what you write. Get smart and quit short-changing both your writers AND readers! Original: Been using this app for several years, and for the most part, I like it. Starting with IOS 8 however, I could no longer open Safari from web links in the NPR story. An inconvenience, but not a showstopper. After the IOS 8.1(01?) update though, the app will no longer open. It loads, then immediately exits. Come on NPR, update your app to work on the new IOS releases!! My iPad is hard-mounted in landscape position. NPR ONE is the only app I have that does not accommodate for this. I love NPR, and I love the content, but why not include this most basic function? I love this app! Yes, there are some commercials but FAR less than my public radio station. It keeps me informed and delivers me stories that I like and introduces me to stories that I would otherwise not listen to. Highly recommend! Liked it a lot. Now, it no longer updates unless closed first and then reopened. Looks like no update since 2016. Gonna miss it. UPDATE: This app continues to display the same bad behavior noted below. I have used this app for years to read NPR news stories but most importantly to listen to my local station's news feed and live programming. Sadly, it has become unusable over the past 6 months or so. The live stream will play for about 10 minutes or so, then it stops. Must restart feed. Stops. Repeat. There is some variability, but this occurs on multiple stations' feeds. I am using current iOS and iPad Pro, and yes I've uninstalled/installed the app. Too bad, because I have been a $$ contributor for years and consider NPR to be my core news source. I listen to NPR on this app regularly. It works well. I would like to see a sleep feature, like on the podcast apps. I love the app and would rate it more if I could listen to an NPR radio station on my iPad. I deleted and reinstalled the app several times but nothing changed, even after filing a complaint. Other than that, I enjoy listening to my favorite NPR radio stations on my iPhone 6 and have done so for years... My other issue is that I can not access links that are mentioned in articles that I read on the app. I trust that the internet links appear in the same articles on the npr.org website but are removed from the app articles which typically only include 1 picture and the rest text. I love the app and would rate it more if I could listen to an NPR radio station. I deleted and reinstalled the app from the App store several times but nothing changed, even after filing a complaint. Other than that, I enjoy listening to my favoriteNPR radio stations on my iPhone 6. I wish I could access links that are mentioned in articles that I read on the app. I trust that the links appear in the articles on the npr.org website. 3.1 does not load on 2017 iPad. The interface for the iPad version of the app is horrible. I just want to install the normal npr app on my iPad as the interface for the iPhone version is great. Right now on my iPad I just go to npr.org in Horne for a much better experience. Love NPRs content, but disappointed in the app. It’s laid out very poorly for browsing, you can’t see more than a couple of headlines at a time without scrolling through banners, or flipping through stories one at a time. Also, the adjustable fonts aren’t nearly adjustable enough for my aging eyes, and you can’t zoom or wrap text. It would be really great if one of our best news services had a more accessible app. The NPR News APP is my #1 source for news! I start my day off with NPR News and in the mornings I listen to member stations from all over the country. I proudly support my member station and the app also help in keeping me up to date on local stories from local member stations where family are. The app has a few streaming issues with the stations that I hope will be addressed in the next update. One minor issue though I don’t see away to update the app from the App Store. When you search for it, the store only has version. 2.5.3 there. ...but I would certainly like to utilize the app in landscape mode, so that I don’t have to bend my head around 90 degrees to use my iPad when I use my attached keyboard (which is always). Almost none of my multitude of iPad apps have this same issue. I will modify my review to 5 stars if you could just fix this. This app is a good idea, but needs some work. There is a volume problem which manifests too loud and too soft volume when the app transitions between the opening to the actual broadcast (national) and then to the local broadcast. I am constantly running to the radio to change the volume. When it jumps to loud, it is really loud. Then when it switches to local, I have to turn the volume up. I have been giving feedback about this to NPR since the beginning. Nothing has changed. Otherwise, it is great to be able to change to the top-of-the-hour news. The play list stalls at the end of a story when the screen is locked. Also no controls on the lock screen. Great app if not on iOS 11. NPR is one of the best sources for news. The app has no bells and whistles but, the content is great. To listen to any sound or video link, you have to go to the website- it never works through the app. And wanna share an article with someone? The send button disappears the minute you enter their email. Wanna see a tiny desk concert? Click on the link and a window tells you “not found”. Great information- but you can’t access it. These are basic media 101 lessons...and it has been this way at this app for YEARS. Sad.